People are returning to enjoy the free open spaces. Following the pyramid strategy of the FMPZ (see front page), immediate issues of service provision, lighting and security are taken care of first. Then more aesthetic concerns, like landscaping, can be addressed. 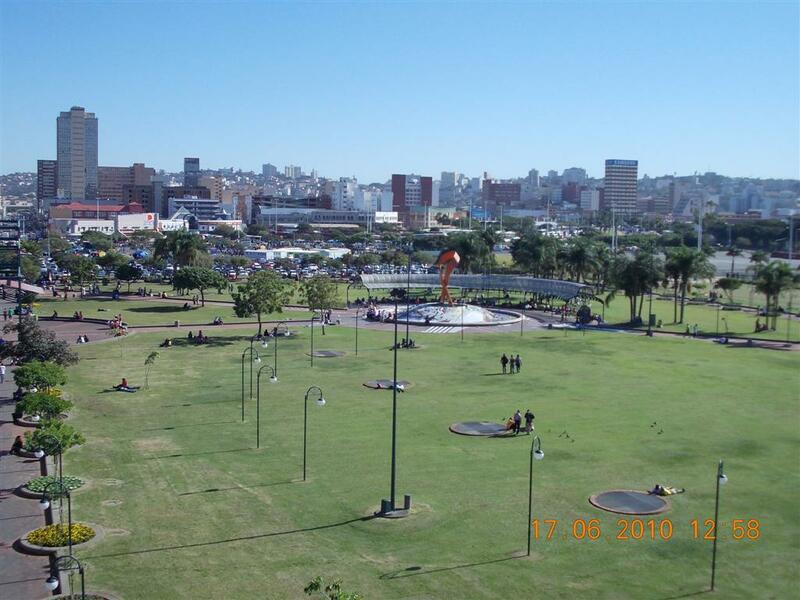 In consultation with the eThekwini Parks Department, a Top-up service was mandated to create new areas of excellence: DSFM appointed Topturf Group as a supplementary landscaping service to assist with weed and rubbish removal and general upliftment. Topturf is responsible for maintenance of the area, incorporating litter removal, irrigation and verge maintenance. Meanwhile the Parks Department can focus on new beds, planting perennials, upgrades and refurbishment, the selection of shrubs and trees, and maintaining beautiful lawns.